WASHINGTON—Vowing to fight tooth and nail against what he called “an insidious smear campaign,” Rep. Devin Nunes (R-CA) announced Wednesday he was considering filing a defamation lawsuit against his official Twitter account for ruining his reputation. “The figure behind @DevinNunes has disparaged my good name in what appears to be a highly coordinated effort to make me look like some kind of whiny, impetuous idiot,” said the House Intelligence Committee’s ranking member, who accused the verified account of repeatedly posting and sharing content that has portrayed him as “a crackpot with abhorrent views” since the profile was first created in 2009. “The fact that Twitter has allowed this account to exist for nearly a decade is a major testament to the platform’s left-leaning bias. They’ve stood idly by and watched while my official account has spewed out nothing but drivel and lies. 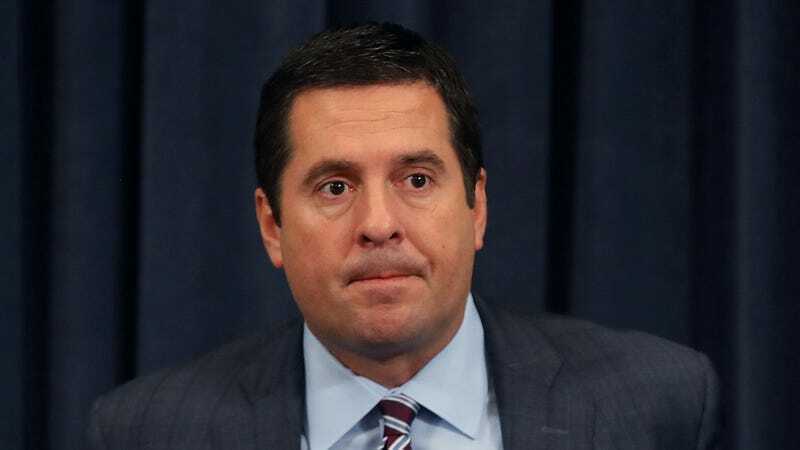 This is character assassination, pure and simple.” Nunes added that hopefully the lawsuit would serve as a stern warning to other outlets that have smeared him, including his official Facebook account, his official campaign website, and Nunes.house.gov.